MAR’s commitment to providing quality court reporting service started over 20 years ago and still stands true today. How is MAR different from the competition? Our distinguished network of reporters places a huge importance on personalization and customer service. Prior to joining the force, each reporter undergoes a strict and extensive screening process that ensures they are up to speed on the high standards for which MAR has come to be known. This quality control process not only guarantees you a reporter who will get the job done on time with the highest level of accuracy, but you can go into each legal proceeding knowing the reporter that has been assigned to you places as much importance on the case as you do. 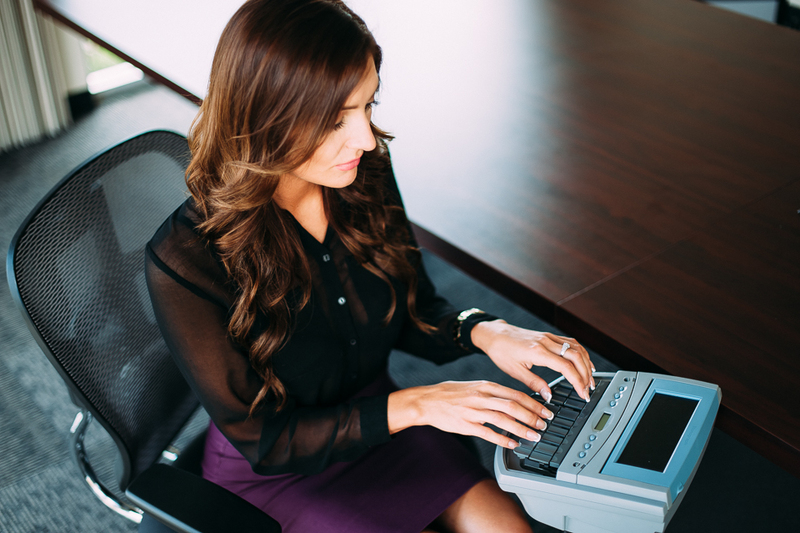 What special services can MAR court reporters offer? Realtime reporting provides an instant view of the testimony over laptops and/or iPads (your own or provided by the reporter). Approved offsite participants also have the opportunity to view the realtime transcript through streaming, and immediate rough drafts are available upon conclusion of the proceedings. What will I receive post-deposition? Unless otherwise ordered, transcripts are electronically delivered in a bundled PDF portfolio, complete with a full-size transcript, a condensed transcript, ASCII file, as well as hyperlinked exhibits. Click here to learn more about our court reporting and deposition services!